It’s a well-known fact that floors influence the décor and design of all the rooms in the house. In older homes, wooden floors add mesmerizing beauty to the aesthetics of each individual room. Many homes are made from floorboards of timber that are covered with carpet. If you are looking for a home upgrade without spending too much money on changing the entire flooring of your house, you could just throw out the worn carpet and polish and transform the look of the earlier floorboard. If any boards are rotten or off looking using a sliding compound mitre saw; cut and replace necessary floorboards. However, you can also use wood chisels to clean up some boards saving money if they don’t yet need replacing. Doing this help save tremendous costs while at the same time, upgrading the flooring to look brand new and chic. It is quite easy to save cost on flooring by gathering a few supplies to help make your existing floorboards glamorous. All you need is a random orbital sander, floor polisher, edge sander, and floor finish. 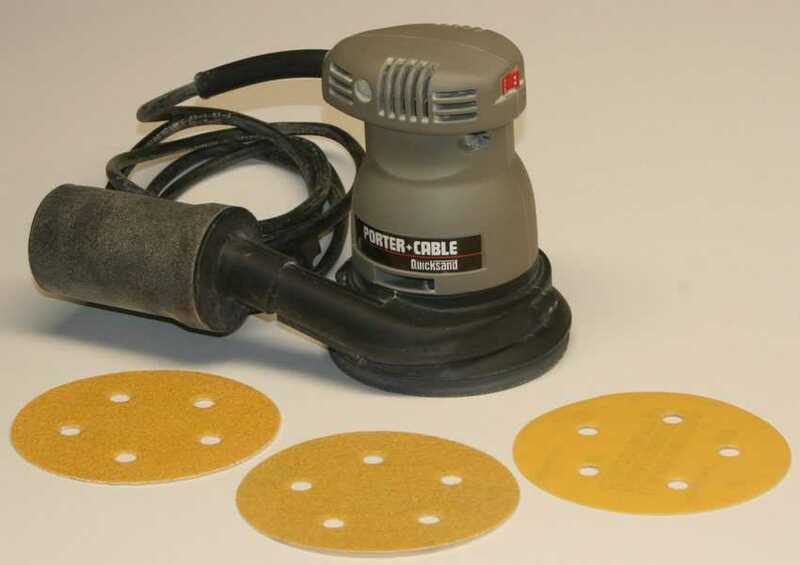 With these things, you would also need 40-, 80-, and 120- grit sandpaper, safety equipment like goggles, dust masks, gloves, and pry bars, paintbrushes, and rollers for floor finish applicators. You can also significantly improve the value of your home by transforming your floorboards if you plan to sell your house for higher amounts of money. Let us look at ways to sand floorboards. Clear out the entire room and empty it of all furniture. Seal the room with a dust sheet, and if possible, remove all doors to the room. Dust sheets or plastic sheets help control the dust to only one place and prevent it from spreading to other areas of the house. Remove any pre-existing carpets, nails, grippers, and uneven bits of glue stuck to the floorboards before starting any work. 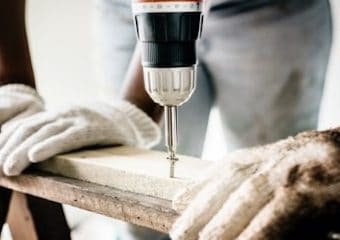 If you are unable to get the screws out, ensure that you hammer them 2mm into the floorboards to avoid any mishaps while sanding the floors. 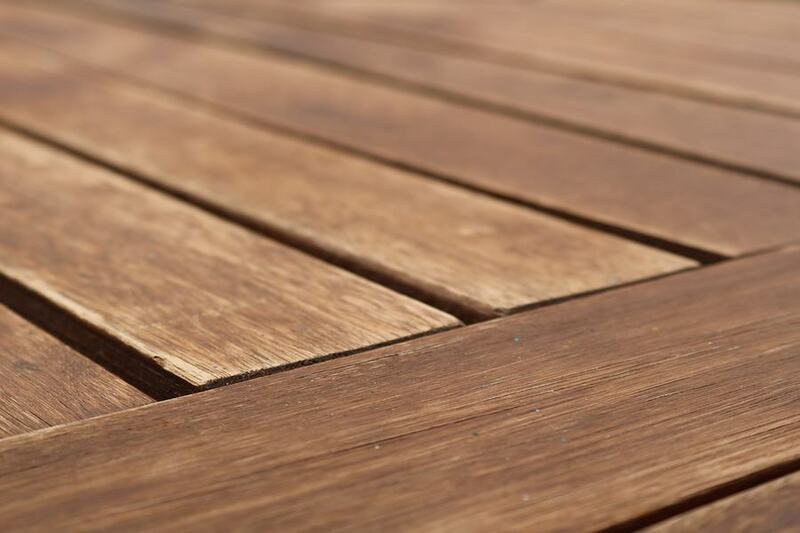 If there are any damaged floorboards, you can either fix them or replace them to help with the overall project. Fill large gaps in the floorboards with wood glue and wood putty of the same color as your floorboards and scrape with a scraper to level. Once the floor is evenly sanded, the adhesive and putty should thoroughly blend into the floor surface to give it a natural and even look. Start by hiring a sander from an industrial tool company. While it might be slightly expensive, it is still more cost effective than buying a brand-new sander that will be used only for a week or two. It is essential to select the correct grit of the sandpaper based on your needs and requirements throughout your flooring project. If you require excessive sanding, start with the rough 40-grit sandpaper and gradually shift to the 60- or 80-grit paper. For your second pass, use a 120-grit paper for smoother sanding. Lay the drum on the side and slide the paper onto it. If the paper does not slide on smoothly, rub some fine sawdust on the inside of the belt. Doing this will help slide the sandpaper gently on to the drum. Before you start sanding, ensure the drum-head if off the floor. Pull the lever that drops the drum on the surface. Tilt the machine upwards as you start it, and gradually lower it to the floor. To quickly level the floor while sanding it, you should aim at maintaining a 15-degree angle to the floor. A range between 15-degrees to 45-degrees to the floor will help even out the entire surface. Start by gradually sanding the floor, while working each floorboard at a time. Repeat this in smooth motions with equal pressure level all the boards. Once you are done with sanding the floorboards in the direction of the grain, change the sandpaper to a smoother grit and repeat. Sand all the edges with an edge-sander and all the corners with a detail sander to get the best results from your floor-transformation project. Once done, use a fine sander to smoothen out the flooring and give it an even-textured look. Ideally, you should select a finish (wood stain, oil, wax, varnish) that suits the layout of your room, and gives it a look of greater depth and space. For smaller rooms, light finishes are ideal for increasing the appearance of space. 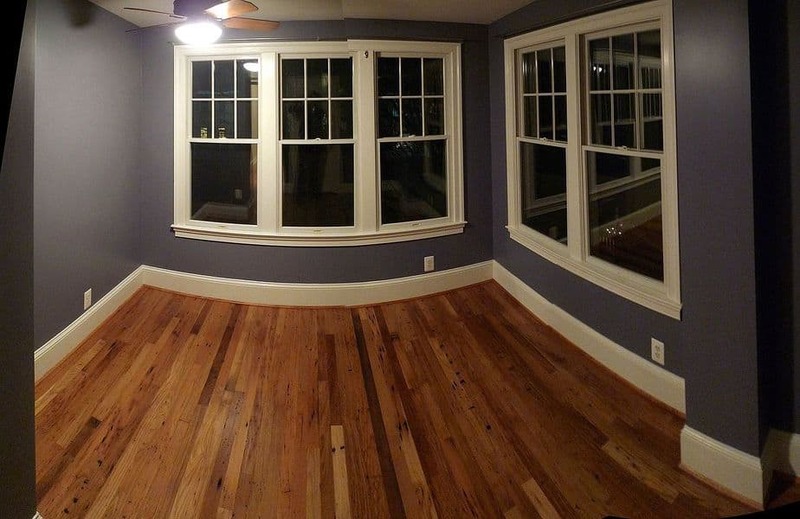 For larger rooms, a darker finish will help to decrease the presence of additional space and make the room look cozy. Before applying the varnish topcoat, let the stain and flooring completely dry out to avoid mold and fungus on the floorboards. 24-hours before varnish can help preserve your flooring for several years.